We hope see you in other occasion!! Hired a boat for the day for the second year running, was the highlight of our holiday both times. 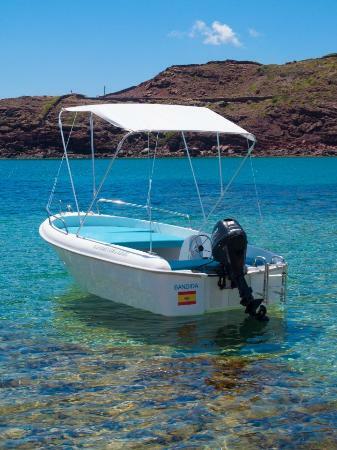 We have 2 young boys (3 and 5) and there is nothing better than putting the anchor down in a secluded bay, having lunch in the sun and then all jumping into the crystal clear sea to swim /snorkel. 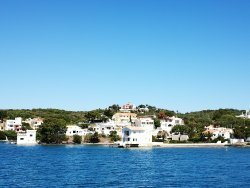 This year the weather was not as good and so they wouldn’t let us go out from Cala en Porter, their knowledge of the sea/wind is excellent and so they drove us up to the north of the island with the boat to explore a part of the island we hadn’t seen before in perfectly still waters. 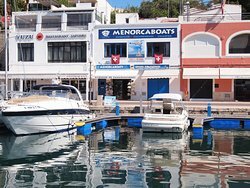 We could not recommend the MenorcAventura team any more highly. 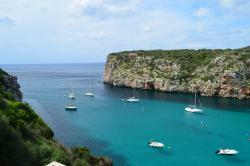 A great day out with the family whilst visiting Menorca. Thank you! A pleasure for us!!! We hope see you again! kisses and regards for all the family! 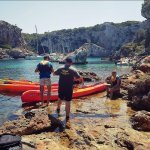 Spent 3 hours on a kayak tour complete with guide for 35 euros, good value for money and a great few hours visiting the caves, coves and beaches along the coast of Cala'n Porter. Good reliable equipment, everything you need for kayaking on the sea. I first met Sandra last year when my plans to hire a bike elsewhere ended in failure. A friend suggested I try MenorcAventura. I went to see Sandra and said that I was looking for a road bike or hybrid. Failing that a mountain bike would suffice. MenorcAventura only hire "Fat bikes" which are the ones with massive wide tyres. They are absolutely perfect for use on the trails around the island, but not so good for long distance rides. Sandra tried to liase with a bike shop in Mahon to arrange something for me, but was not successful. In the end I took the Fat bike. Although not what I wanted, I can't fault Sandra for trying to help me, and the bike itself was well maintained. When returning the bike Sandra was trying to talk me into doing the kayaking. I promised I would do it next year. So here we are. Sandra remembered me, probably for being the only fool to ride from Calan Porter to the top of Monte Torro on a fat bike! Initially we booked for Tuesday morning but it was cancelled (quite rightly) due to poor weather/waves. Sandra contacted me via WhatsApp before we left our apartment to let us know. It was rescheduled for the following day and went ahead without any problems. After a short briefing, we set off. We explored all the caves along the coast including "the cave of light" "the bat cave" and "the Dragon cave". We were given interesting information regarding the rock formations as we went around (in English & Spanish). We stopped for a rest at Cales Coves where refreshments were supplied (cold fizzy drinks with ice, bottles of water, nuts, cheesy biscuits, melon and grapes). We had time for a swim, a chat and a few photos before heading back to Calan Porter. The trip was around four hours in all and covered nearly 5 miles according to my GPS watch. We loved every minute of it and would definitely do it again. A reasonable level of fitness is needed. 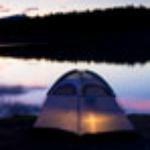 A small watertight container is supplied for your belongings. Great value! Recommended day out for families with slightly older kids/teens and friend groups etc. Lovely team led by Sandra. Did the caves kayaking tour on a very hot day and enjoyed a warm dip in the lagoon. I would note that they provide a (welcome and sustaining) snack and a cool drink but this consists of a nutty snack so please inform them of any allergies when you book. Don't forget to wear shoes you can get wet, a hat and water resistant sunscreen.